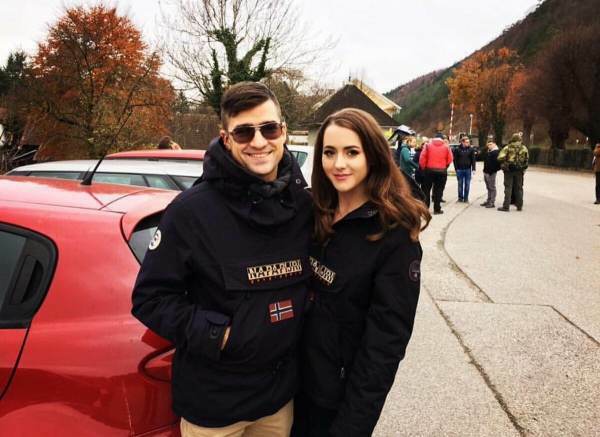 Austrian activist Martin Sellner of Génération Identitaire and his girlfriend, American author and YouTuber Brittany Pettibone, have been detained by airport police in England for nearly three days. Nobody from the US State Department or embassy contacted Pettibone’s family. “Yesterday, Martin Sellner and Brittany Pettibone were detained by the UK Government and effectively declared political dissidents. The government has decided that Martin’s talk about free speech is too dangerous to be heard. Don’t worry, some of our activists will be reading his speech at Speakers’ Corner at noon tomorrow in his stead. We can’t allow either the far left or the government to silence us,” a statement from the British GI chapter read. Journalist and researcher Nick Monroe spoke to Pettibone on Saturday afternoon when she called him from the detention center. She told him that she is expecting that they will be released on Sunday — 72 hours after their initial detention. She has not been permitted to speak to Sellner. One of the reasons for the detention was that they were planning to interview former Rebel Media journalist Tommy Robinson. “The pledge comes after a planned ‘free speech’ conference of Ukip’s youth wing, Young Independence, this weekend was cancelled amid alleged ‘security threats,’” the Evening Standard reports. According to the Evening Standard, the Home Office had previously refused to comment on whether or not Sellner would be blocked from entering the UK. “The Home Secretary may exclude an EEA national on the grounds of public policy or security, if they pose a genuine, present and sufficiently serious threat,” they said in a statement early Saturday morning. The event was facing threats of rioting from Antifa communists.